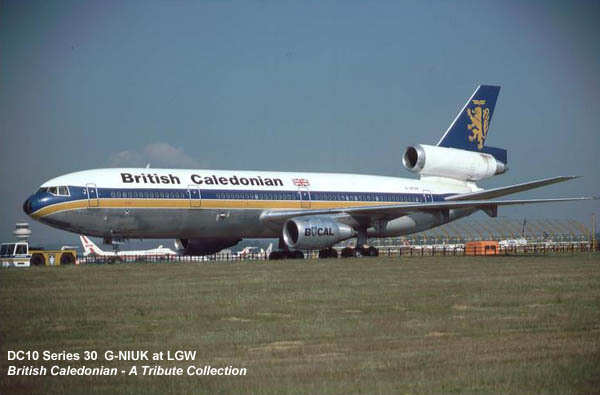 Following some photos that arrived from Paul Lane and Paul Robinson, it was a good opportunity to show some images of aircraft as they entered the BCal fleet, still in their former owners livery. 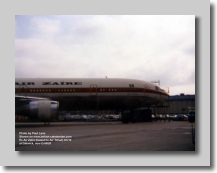 The aircraft are usually repainted pretty quickly and not often captured on film. 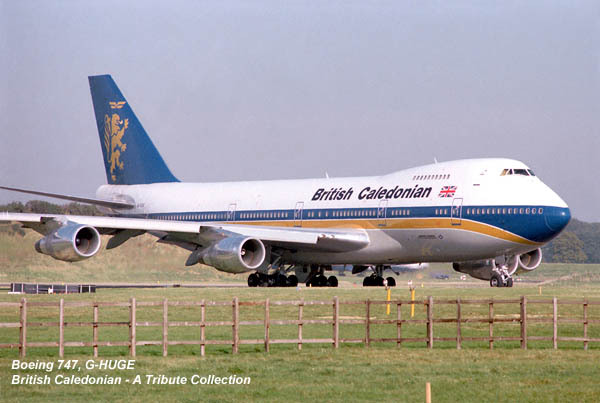 BCal initially negotiated a three year lease on this 747 Combi, to be registered G-HUGE. 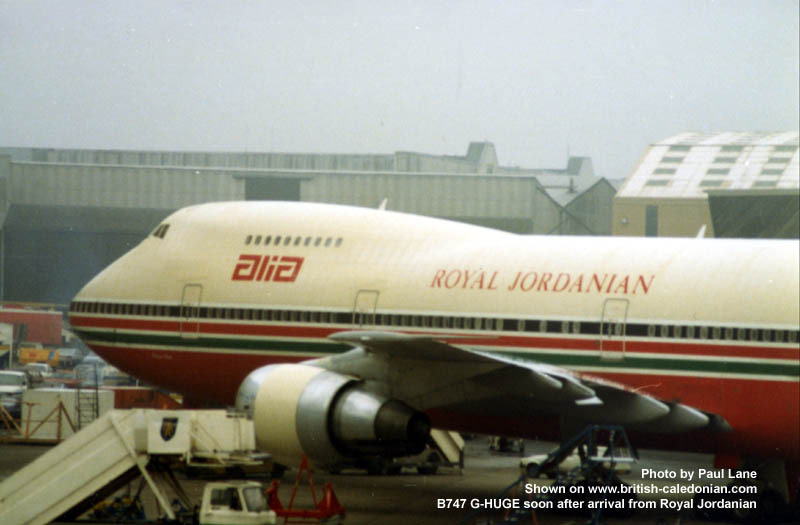 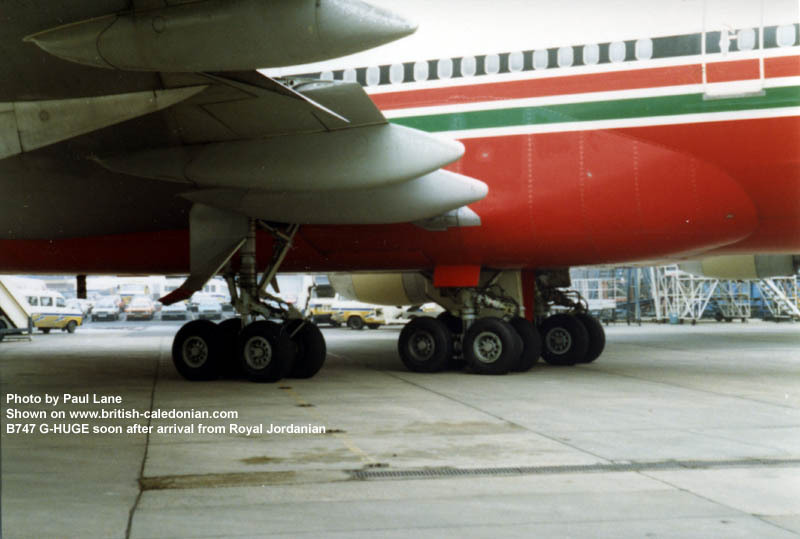 The acceptance flight was flown on 16th March in Jordan and G-HUGE arrived from Amman on 18th March 1985 in just over 5 hours with Captain Kelly and F/E McComb accompanying the Jordanian crew. 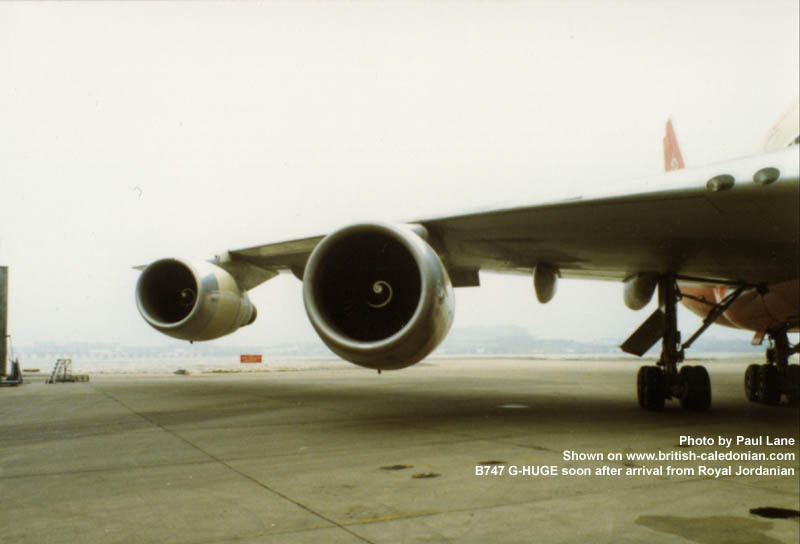 G-HUGE (left) was named: Andrew Carnegie - The Scottish American Philanthropist. 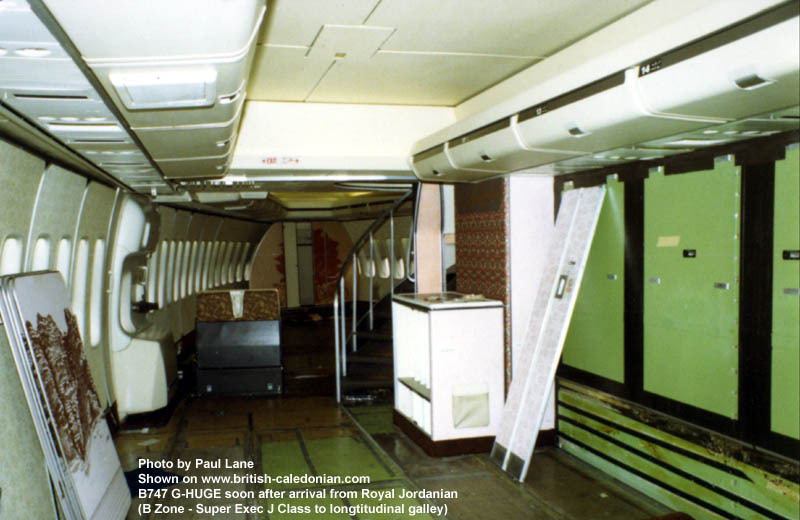 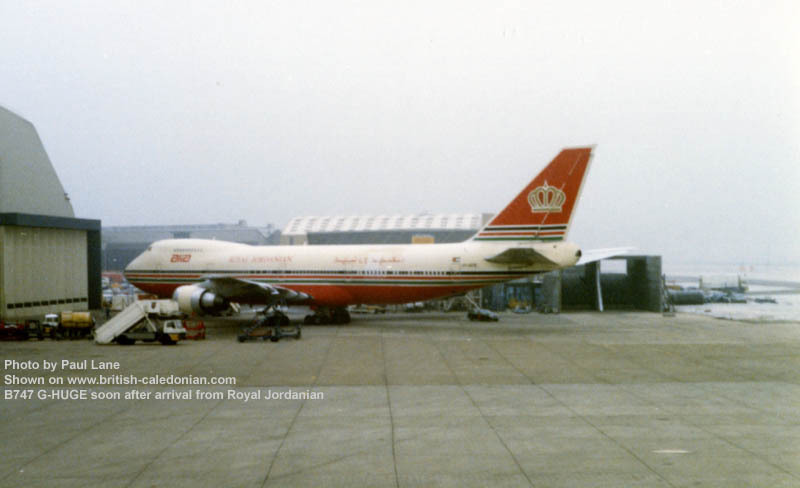 Below are a series of photos taken by Paul Lane just after she arrived, still in her Alia - Royal Jordainian livery. 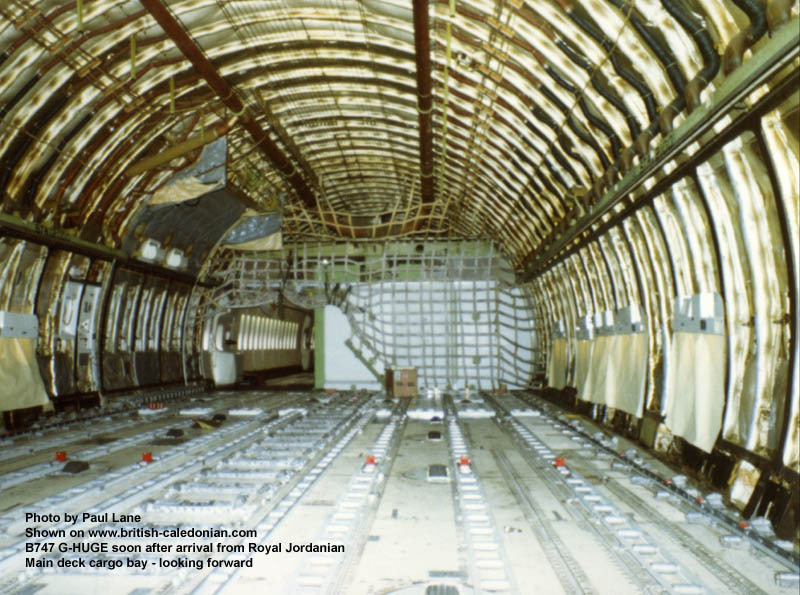 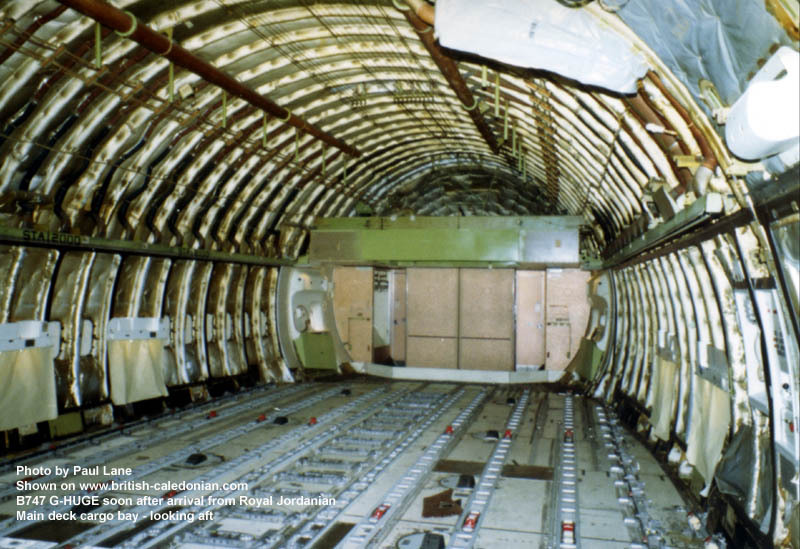 Also some view inside the cavernous main deck rear cargo space and stripped out front cabin. 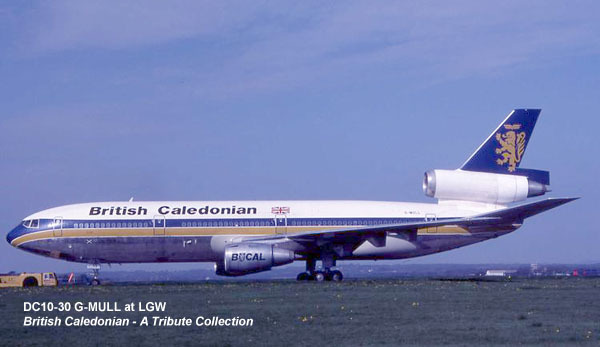 BCal paid $38 million for her, including spares and a quick-change engine kit. 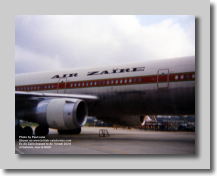 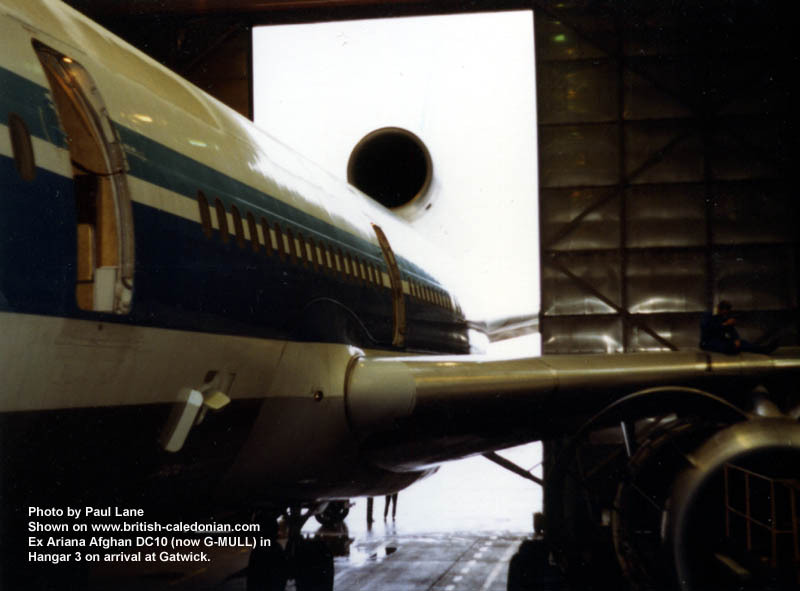 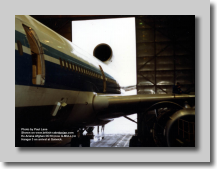 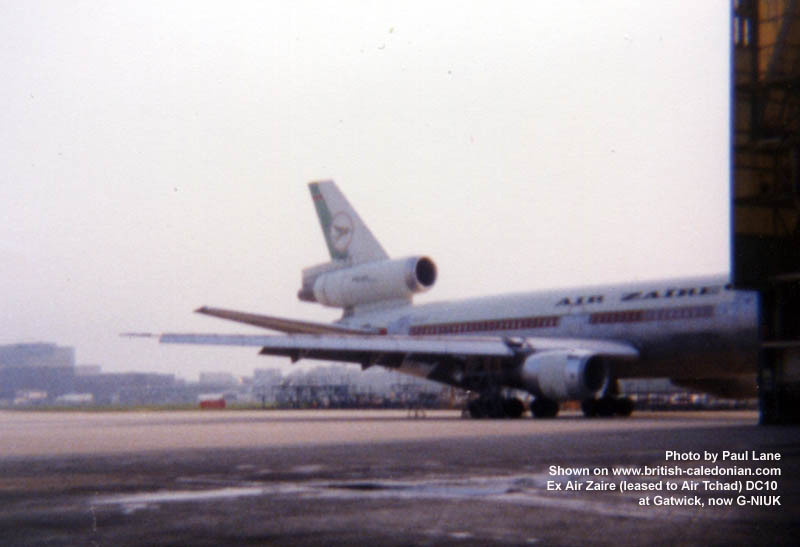 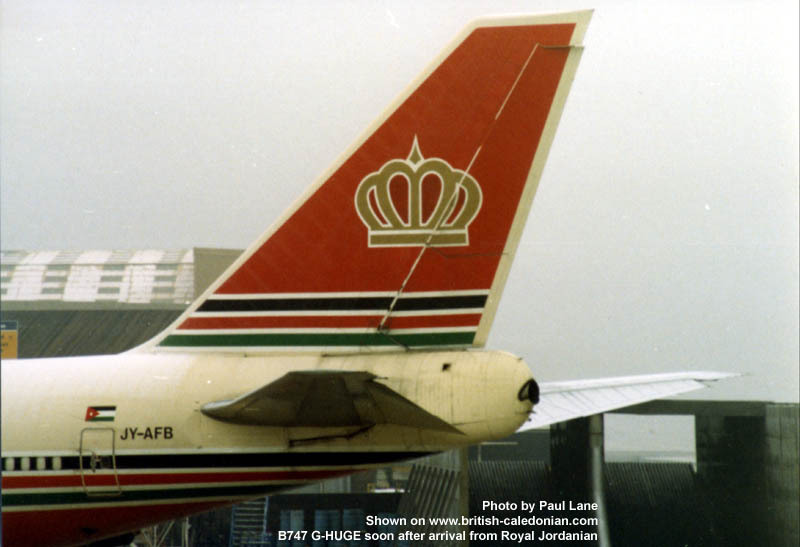 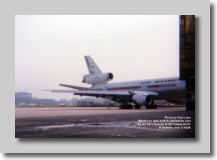 She flew into Gatwick on 21st March 1985 and had been recently overhauled by McDonnell Douglas. 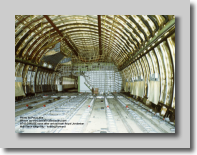 YA-LAS had been struck by a missile on landing at Khwaja Rawash Airport in Kabul in September 1984, which had caused damage to its hydraulics, fuselage, port engine and a wing. 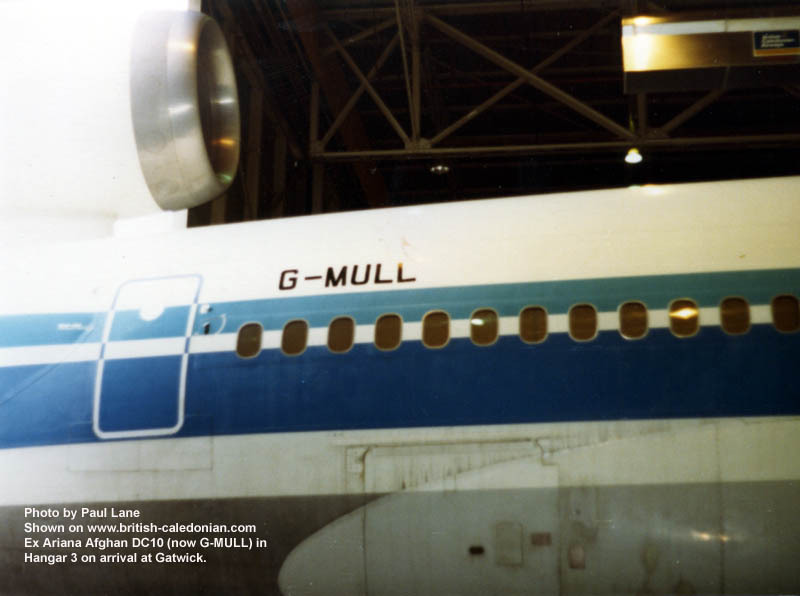 G-MULL (left) was named: Ian Ritchie - The Caledonian Airline Executive. 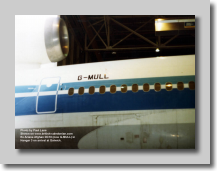 G-NIUK was BCal’s tenth, and last, DC10-30 and she arrived on 9th June 1985. 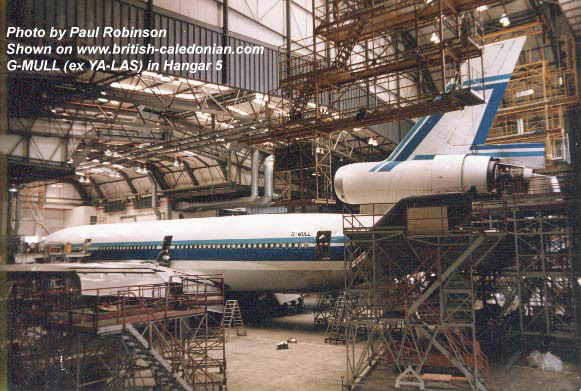 G-NIUK (left) was never given a fleet name. 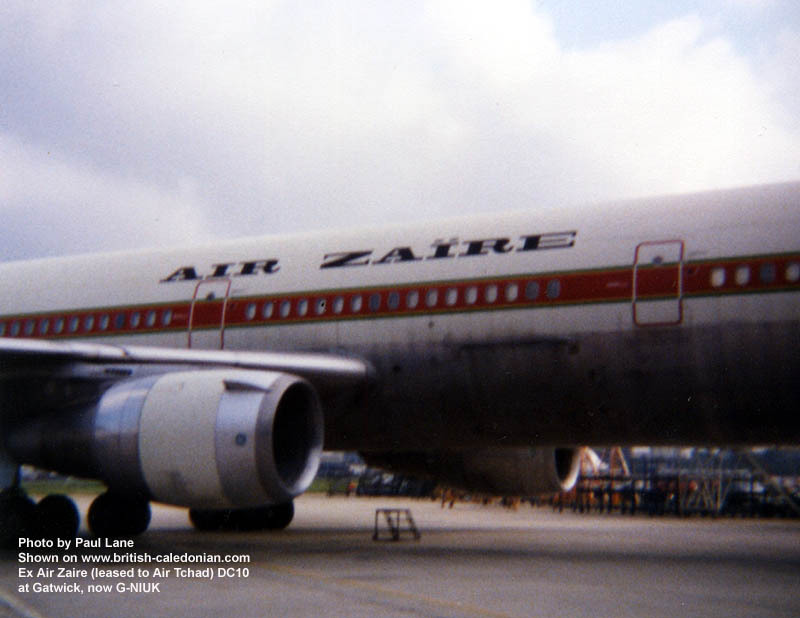 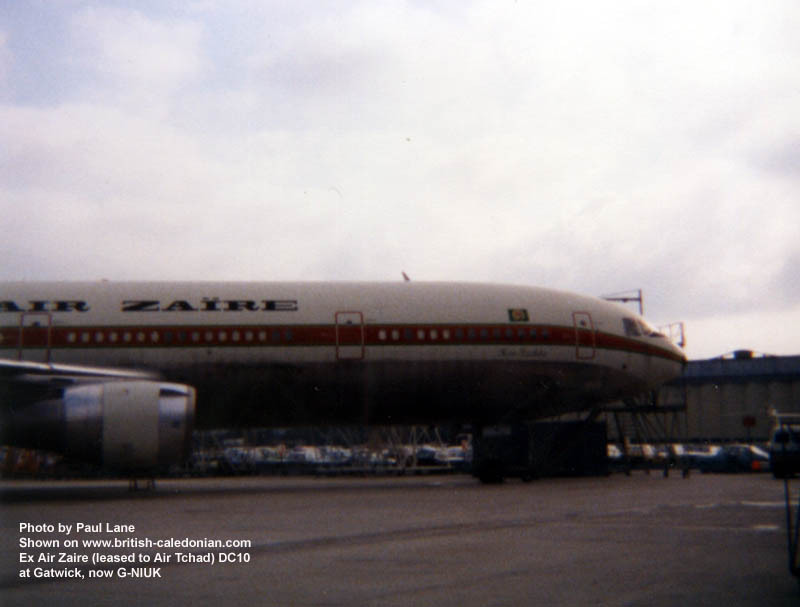 Below are a series of photos taken by Paul Lane of her in her Air Zaire livery on arriving at Gatwick.